The other day I was driving through my home city and thinking about CMBS (as you do!). And as I drove I was looking at the variety of buildings on display and how they are all different shapes and sizes, often curved and following the bends of the street, and I thought to myself "wouldn't it be cool to have a modern city environment like this in CMBS"... I.e. Buildings of a great variety of shapes and sizes, different architectures (a mix of modern and old) that follow the curves of streets. Offices and shops. And what about huge built-up industrial areas with massive factories? I guess the question I am posing - is it possible to mod the buildings in this way? With the greatest respect, many of the stock buildings are quite basic and follow the same patterns in the shape of a square. I would love to have a battle in a realistic city, with restaurants, cafes, and factories, where the architecture is diverse. Or is this too complicated and beyond the game engine/graphics capabilities? modding the shape of the buildings is not possible, because even if the 3D model could be worked on there would be a lot of programming necessary for the Windows, doors, floors, and how the units interact with them. You can mod the surface of what we have now, in the end, the buildings in the CM2x games are created as such in order to represent the building through a concept more than making realistic structures of all types; the variety of what could be seen on any landscape is what makes a huge task to represent reality within the boundaries of a videogame (considering game type and available budget). The VERY biggest impediment is in getting building shapes to correspond to AI 'action squares' so infantry inside will act properly. Its a bit of a straight-jacket, actually. Only so much that can be done without 'breaking' movement through the buildings. Still, CMFI has its narrow Sicilian apartment blocks with small balconies, CMBN Holland module has its Dutch pattern buildings and even has a wind mill! So there is some wiggle-room. Sorry to raise this thread from the dead. How do you mod buildings to give them a new skin? At least they would look better, because as Haiduk says, they don't look at all right for modern Ukraine and it annoys me quite a lot. I know you can't change the shape or functionality of the buildings but surely it would not be too difficult to "reskin" them with a modern look. He is actually asking a different question. CMFI has buildings with the image of balconies, but not actual balconies. These are on 2 sets of independent buildings. They are just about my favorites for adding some flare to a street without suffering the corresponding tactical issues of balconies. It can be done. Kieme has a really good set for CMSF, but it will take work. Another thing he added was roof access panels so you can actually see where troops enter and exit rooftops. Thanks sburke. However I have no idea how to do it. I am quite good with Photoshop. How do I start? Ha I am the wrong person to ask. Kieme would be where I'd start, but he hasn't visited the forum in over 2 years. Oh dear! I just sent him an email, but perhaps I should call out the MPs - he's obviously gone AWOL. 🙂 Cheers mate, anyhow. if it helps you could always look at the mod he created for CMSF and see if you can reverse engineer. Those do work for CMSF2. Building textures are simple to do (in theory). You use the Rez Explode app that comes with the game to extract the original building façade artwork from the brz file. Then you paint over the art any way you want. The indi building exterior walls are labeled for front, back & side first floor and front, back & side the higher floors. Modular building exterior walls are labeled bottom. middle and top. You can imagine something as simple sounding as that turns out to be very complex in practice. But that's what makes modding a good hobby. 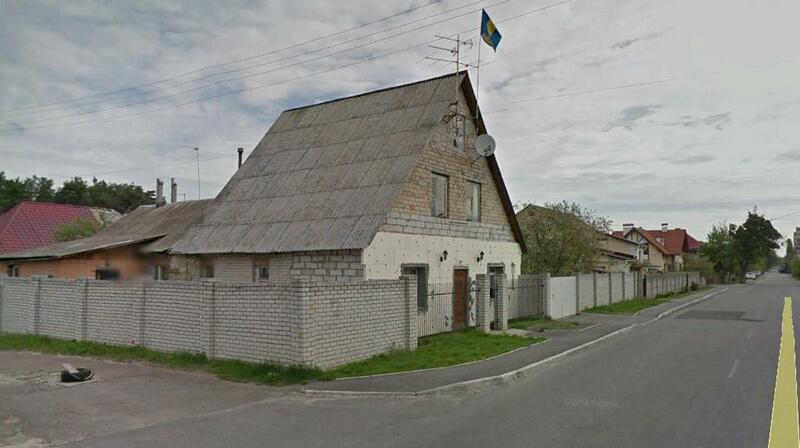 As for getting the game to look like modern Ukraine, last time I checked Google Earth Street View was still working. You can peer into people's back yards and into their kitchen windows to your heart's content. Let me check it out. Yup. Welcome to beautiful suburban Kiev which resembles pretty much any suburb on the planet. You can work up a variety of decent looking modern office buildings using the long window facade with no balconies. The doors to nowhere won't function. One other question - can you put flavour objects on roofs? I tried putting an aircon on a flat modular building roof, which seemed the obvious place for it, but it didn't take. That's a pity. Which brz file are the buildings in please? First off: they are all in v100b. It took ferking hours! Just to change two levels of one side....and most of the signs I put up are unreadable.😧 I can see now why Kieme worked in HD. Still, I've got the hang of most of it now. So I think others will be much quicker. I can't do a screenshot. I just press PrtScn and all I get is a black frame. Anybody tell me how please? Finally: +1 rep to the first non-Brit who guesses what the building is. Tee hee. I Googled fraps download and got this.